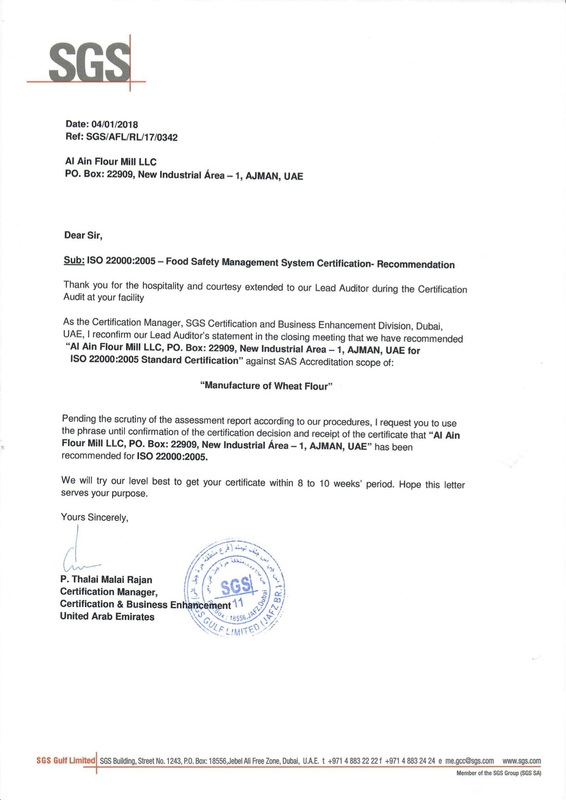 Al-Ain Flour Mill Company was established in 2010 in Ajman - United Arab Emirates – and it forms an important part of Al-Hazaa Investment Group. 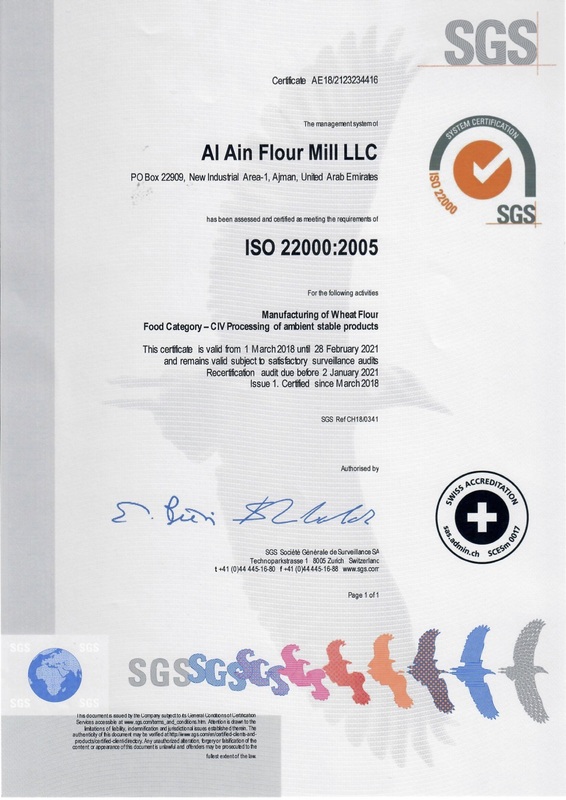 Al-Ain Flour Mill Company is a leading, advanced, and modern grain milling company. Al-Ain Flour Mill Company has a production capacity of 320 tonnes per day and a storage capacity of 20,000 tonnes. Al-Ain Flour Mill is a leading company specialized in the manufacturing of flour of all kinds. Al-Ain Flour Mill Company produces flour from the ground up until the final product stages. Al-Ain Flour Mill Company selects the best types of soft and hard wheat form the best countries in this field, such as Canada, Australia, European countries, and Black Sea countries. Al-Ain Flour Mill Company manufactures the finest flour with the best expertise and by following the highest standards of safety. It became one of the best companies operating in the field of wheat flour in the UAE and the Gulf. This continuous development in Al-Ain Flour Mill Company has turned it into a strong, strategic, and reliable partner for many local, regional, and international companies. In implementation of the company's policy, there is a future plan to increase production capacity and storage soon. This plan comes in line with the progress and development of the company to meet the needs of the local and the regional markets, and to achieve customer satisfaction. Al-Ain Flour Mill Company manufactures wheat flour in line with the market needs of all types and varieties. All the company's products are packed in a healthy way and in different weights. Al-Ain Flour Mill Company is proud to have more than one brand in local markets, such as Al-Ain, Harvest, and the Mill. Al-Ain Flour Mill Company is also proud that its products are shipped to more than 10 countries in three continents, namely Asia, Africa, and South America. 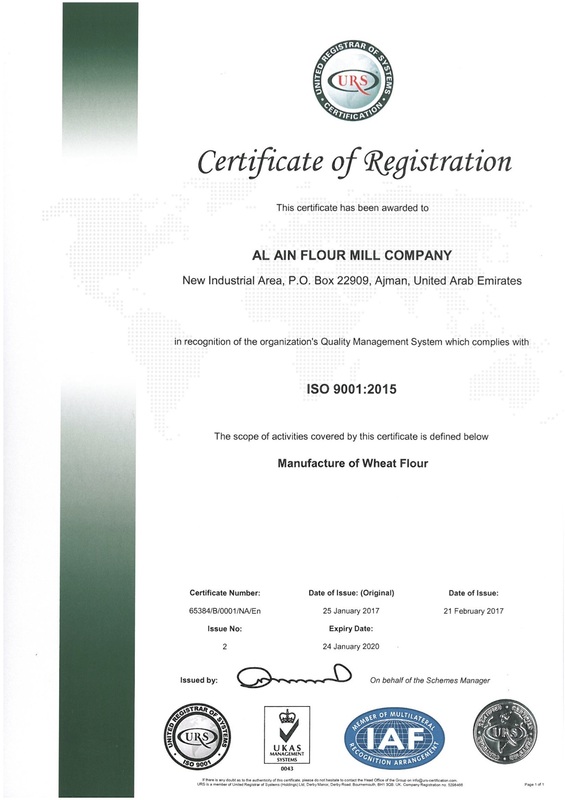 Al-Ain Flour Mill Company adopts the highest level of technology in the field of mill-equipment manufacturing. To this end, it has cooperated with the Swiss company Buhler to fully equip the mill with the best milling and production equipment and lines. 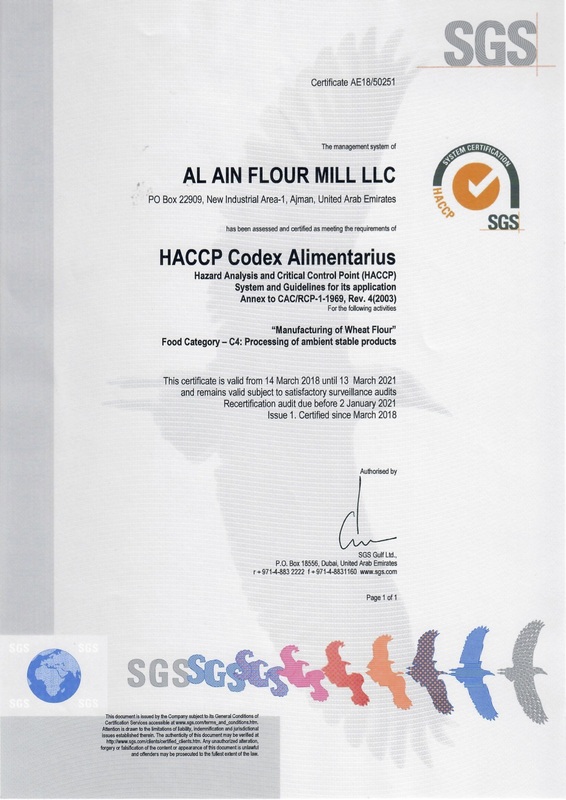 Excellence in Al-Ain Flour Mill Company has enabled the company to be classified by SGS Swiss and to gain several acknowledgements and certificates, such as FSSC 22000, ISO 9001, and HACCP.